External cavity sliding doors are the ultimate way to seamlessly connect your indoor and outdoor spaces. 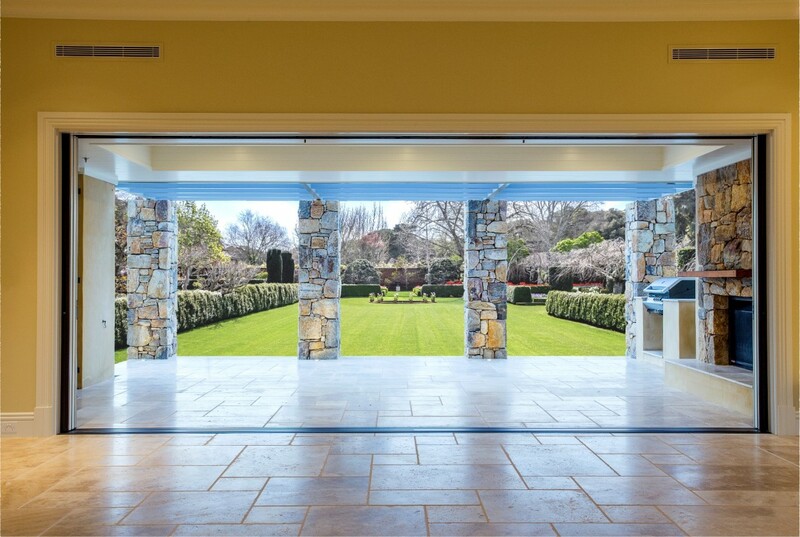 Our weatherproof cavity sliding door system allows you to design an external doorway up to 12 metres wide. 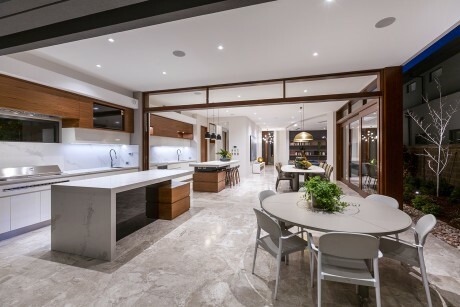 The doors simply glide away inside the walls to create an impressive 100% opening. Our premium cavity sliding door system can accommodate from 1 to 6 timber doors on a multi-layered track, and can be custom-made to suit your size and design requirements. We also offer optional flush sills with tile inserts if you prefer a doorway without a step. 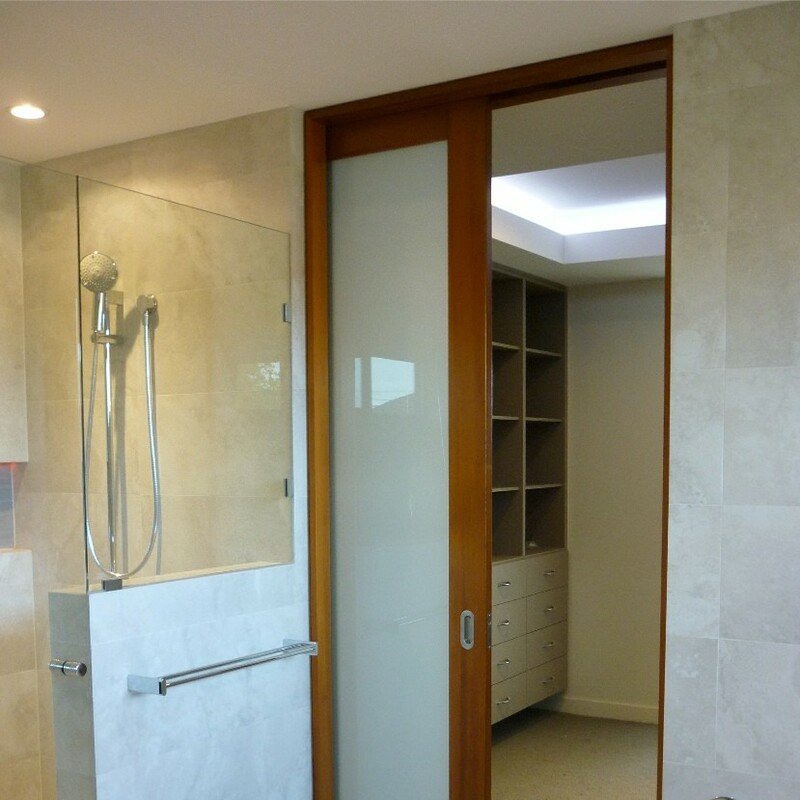 Cedar West also offers a range of internal cavity sliding doors. 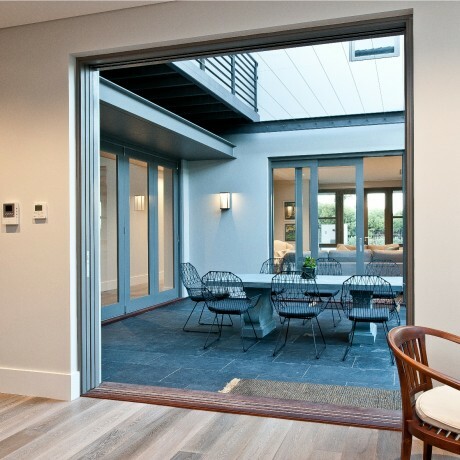 Click here to find out more about our internal cavity sliding doors. Our external cavity sliding door system incorporates a unique weather-sealed cavity box inside the wall, which holds all of the doors when they are not needed. The system uses superior quality weatherseals to provide a high degree of protection from the wind and water in external applications. 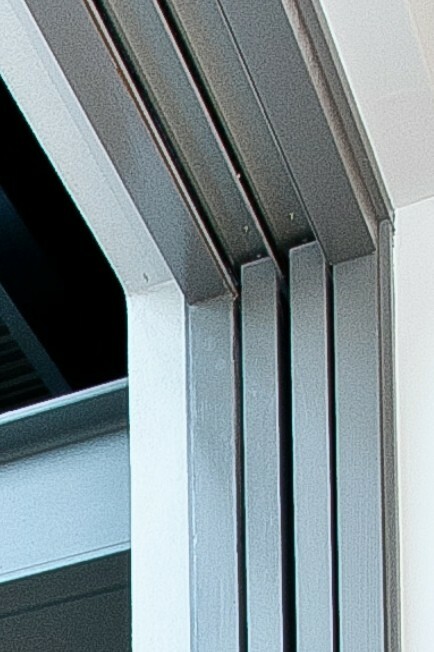 Our cavity sliding door system also includes a sill to provide drainage once the doors are closed. 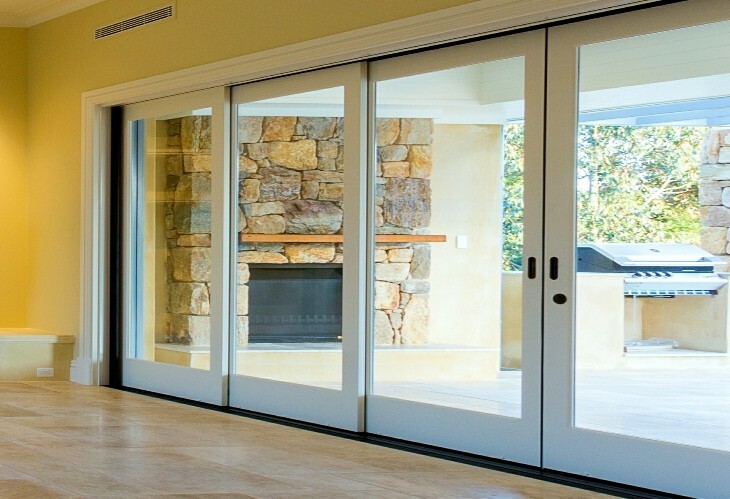 We use superior quality mechanisms and hardware to ensure that our doors are both reliable and easy to operate. 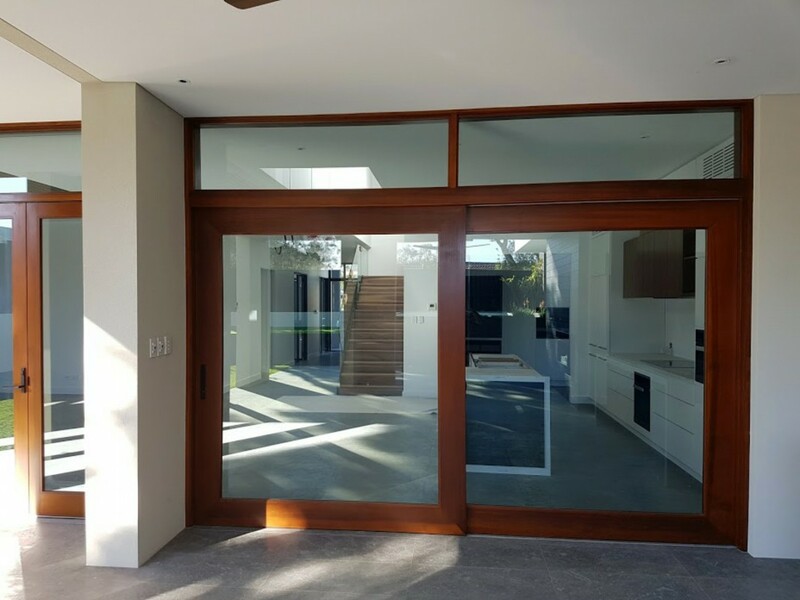 Our external cavity sliding door system includes robust, foot-rolling door hardware to support the weight of the door at ground level. This means that the doors will glide open smoothly and effortlessly for years to come. We also offer optional automatic sliding door operators (supplied by Dorma). 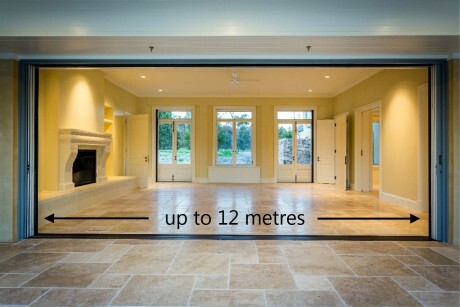 Automatic door operators are ideal for use in commercial applications, aged care projects and premium quality homes. 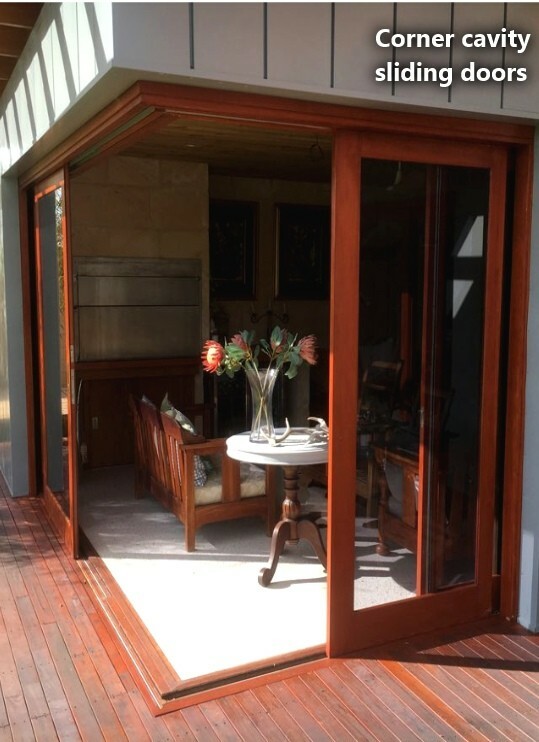 Cedar West offers a full installation service for our external timber cavity sliding door systems in selected areas. Please contact us to find out whether installation is available for your project. 1. Please forward your preliminary sketches (or floor plans/elevations) with appropriate sizing to sales@cedarwest.com.au. 2. Also send details of proposed floor finishes and levels (a sketch or drawing will help with these details). 3. Our dedicated design team will then forward a customised solution for your project. 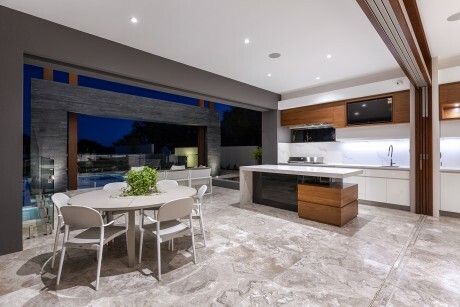 Please note that wall cavity widths and sizes may need to be adjusted to incorporate external cavity sliding doors. Overhead beams may also be required to support the opening (the majority of the weight of the doors is supported at floor level). Door retracts completely into wall cavity. Door stiles overlap to maximise the view. Suitable for up to 6 doors (3 sliding in each direction). Suitable for applications that are exposed to the weather. Premium quality weatherseals and drainage sill included. Ideal to incorporate at design stage (prior to construction). or (iii) triple track 200mm (3 or 6 doors). Maximum size of each door leaf: 3000mm (h) x 2000mm (w). Maximum opening: 2700mm (h) x 12000mm (w). Robust foot-rolling door hardware supports weight of door at ground level. Door is also guided at top. Customised hardware solutions to suit your application. Keylockable bolts optional. Sill options: standard timber threshold or flow-through sill (tile insert available). Various glazing options available, including standard glass and double-glazing. Available with feature timber frame lining or plastered reveals (plastering by builder). Can be used with a wide range of doors from the Cedar West range. Designed for external use (for internal applications, see our internal cavity sliding door page).